If you ignore the twist in the spelling, uttering the word SamBar instantly reminds one of the popular and traditional 'sambar' Tamil lentil delicacy. Additionally, you might be surprised that SamBar serves a peppery Rasam Mary. But there's a catch. 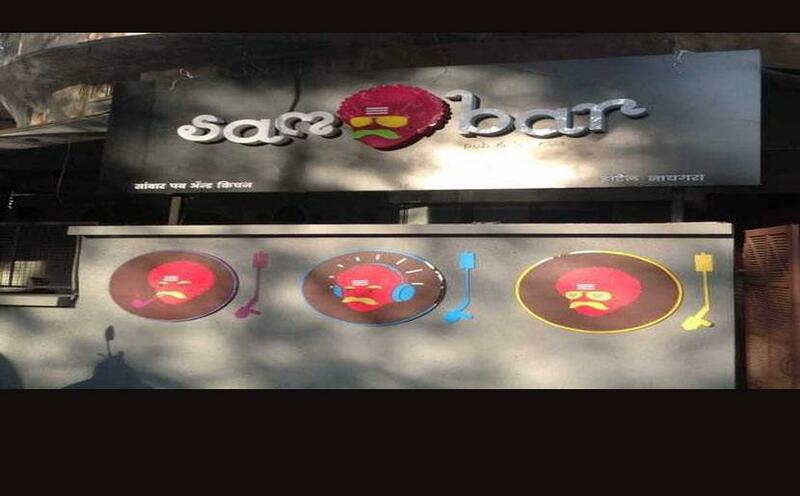 Located near Khar railway station, the newly opened south Indian-themed pub and kitchen 'SamBar' offers a variety of southern coastal food and drinks, celebrating the diverse culture of the region and breaking the stereotypes of "south Indian" food. While Mumbaikars are well-versed with seafood with its various Malvani cuisines of the Konkan region, SamBar is one of the places where foodies can explore the rest of the coastal areas on a platter. Since the owner of the place, young Mangalorean boy Pragnesh Rai, grew up in Mumbai, the authentic flavour of every dish is guaranteed to match up to the taste buds of foodies. On entering the bar, which is decorated with wall paintings of Kathakali dancers, you are welcomed by waiters wearing lungis and T-shirts and big welcoming smiles. Looking at the beverage menu, some of the cocktails certainly made me curious -- Capi Madras and Rasam Mary are two of them. Being a coffee fan, I settled for Capi Madras, a cocktail of vodka, coffee liquor and cardamom, served in two steel tumblers, like the way filter coffee is served. Well, it is enjoyable only if you like the strong flavour of coffee. I continued with a whiskey sour along with Kori Vepuddu, an amazing south Indian spicy twist on chilli chicken. Though chicken platters are quite a common affair at any pub here, keeping the choice of Mumbaikars in mind, SamBar serves a delicious sea food platter that combines dishes from various coastal regions. The platter includes meen urundai (a Tamil delicacy), peppered meen (a Kerala delicacy), Andhra fish finger (from Andhra Pradesh) and prawns Koliwada (fried shrimp in coastal Koliwaran masala). This is a highly recommended platter for fishetarians! However, for people like me with a small appetite, Meen polichattu is a must try. If you are trying to find out a common factor of this Kerala cuisine, let me give you a reference. If you are well versed with Parsi food, this is similar to patrani macchi, and if you are a fan of Bengali food, meen polichattu will remind you of bhetki macch paturi. But the spicing makes all the difference. The caramelised onion with a tangy, spicy marination wrapped in banana leaf, gives this Kerala steamed fish a distinct taste. For the main course, I finished with a classic combo of mutton sukkha and appam. However, I did not end my food ride on a sweet note as I don't have a sweet tooth. But my suggestion would be to try the awesome payasam.